(DURHAM, January 25, 2017) – Young children are curious and brimming with questions, like “How does that work? What does that do? Why does it do that?” With the launch of the new free online STEM from the START animated lessons, teachers and parents of Pre-K – 3rd grade students have a fun new way to help kids learn about science, technology, math and science. The free, downloadable lessons blend animated adventures starring three curious characters called the Quinks with hands-on activities and games for young learners. Discovery Guides for teachers, childcare providers and parents supplement each lesson. STEM from the START is a collaboration between New Hampshire Public Television (NHPTV) and Learniverse Educational Media. The STEM from the START initiative grew out of concerns about the lack of effective, affordable STEM resources for kids in younger grade levels. 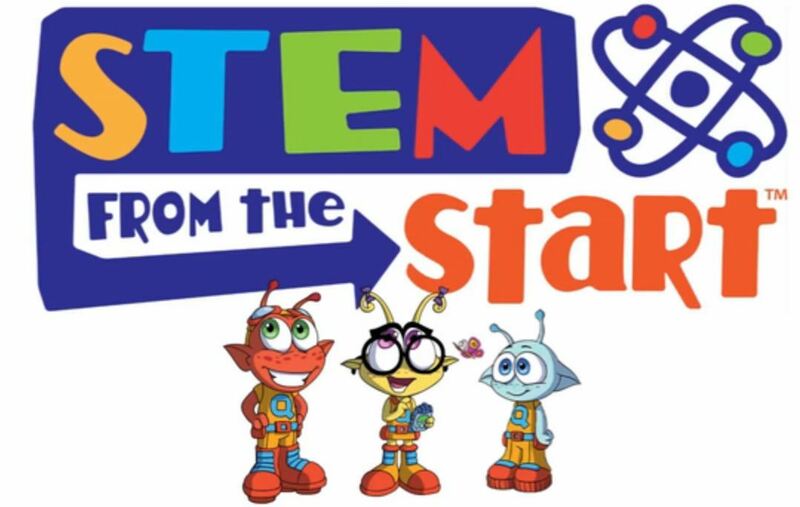 Teachers and parents can download free lessons and learn about the STEM from the START initiative at www.stemfromthestart.org. Teachers who wish to schedule professional development workshops for their school should contact Susan Adams atsadams@nhptv.org. About STEM from the START: STEM from the START is a free online resource for teaching STEM content to PreK-3 students. A collaboration between New Hampshire Public Television and Learniverse Educational Media, STEM from the START lessons blend animated adventures with guided activities and are aligned with the Next Generation Science Standards (NGSS). About New Hampshire Public Television: NH’s PBS station is a statewide locally owned and operated television network that connects more than one million adults and children each month with programs that education, entertain and inspire. Beyond its award-winning local and national PBS television programs, New Hampshire Public Television is a leader in education and community engagement.www.nhptv.org. About Learniverse: Learniverse is an educational media company that creates learning materials to deeply engage your student by blending the robust appeal of animated adventures with the vital interactivity of the classroom.